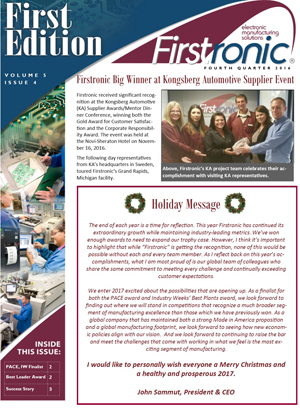 Firstronic wins two awards at Kongsberg Automotive Supplier Event, Firstronic named a finalist for Pace and IW Best Plant awards, Angel Hurtado receives Best Leader award, Rick Brown shares a life changing story and a recap of Firstronic's recent articles. 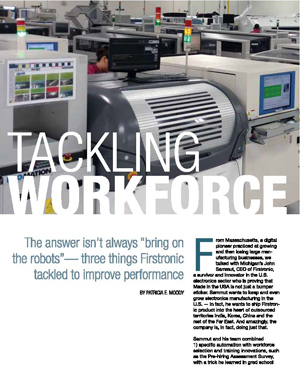 Firstronic’s formula for growing its team in the U.S. and Mexico. 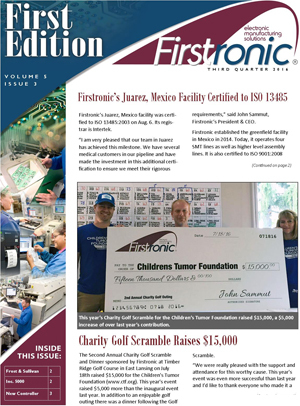 Firstronic’s Juarez, Mexico achieves ISO 13485 Medical Certification, Charity Golf Scramble Raises $15,000, Firstronic wins Frost & Sullivan Operational Excellence Leadership award, Jeff Orchard is new Controller and Firstronic now ranked 1504 in the Inc. 5000. 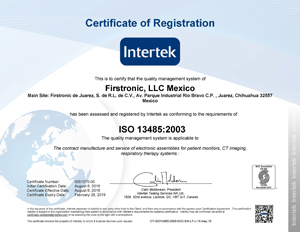 Firstronic announced that its facility in Juarez, Mexico has been certified to ISO 13485:2003, effective August 6, 2016. 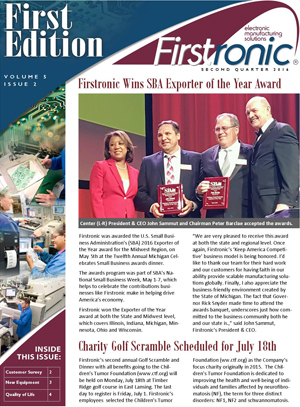 Firstronic wins SBA Exporter of the Year award, customer satisfaction program is revamped, Second Annual Charity Golf Scramble sponsors named, Firstronic is honored at PowerPlex 2016, First Annual Supplier Day is held, equipment added in Juarez, employee quality of life initiatives in Juarez facility are discussed and an employee is recognized for his charitable activities. 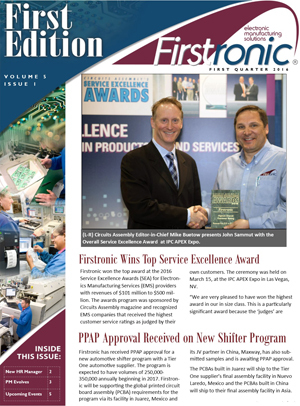 Firstronic wins Overall Service Excellence Award, PPAP approval received for multi-site shifter program, new HR manager hired in Grand Rapids, second MBDP grant received, Program Management model evolves, two major events planned and employees recognized for service. 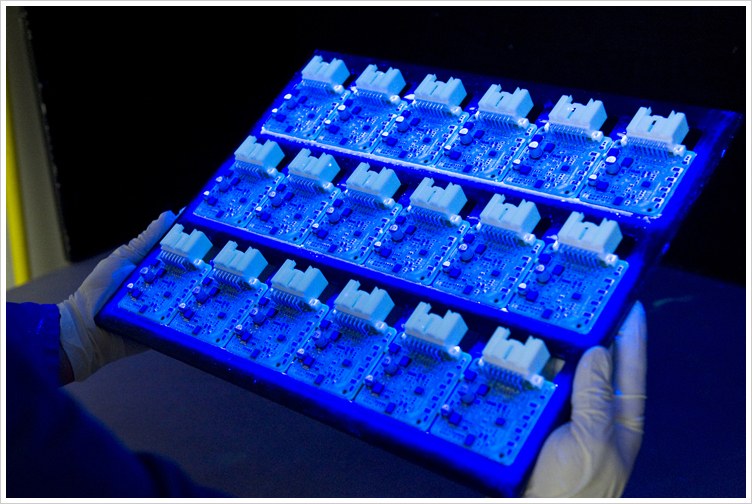 Firstronic won the top award at the 2016 Service Excellence Awards (SEA) for Electronics Manufacturing Services (EMS) providers with revenues of $101 million to $500 million. 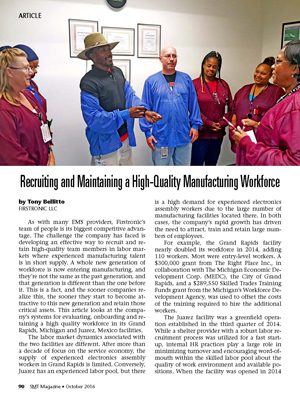 Director of Quality Tony Bellitto discusses the benefits of a well-planned onboarding process in this SMT article. 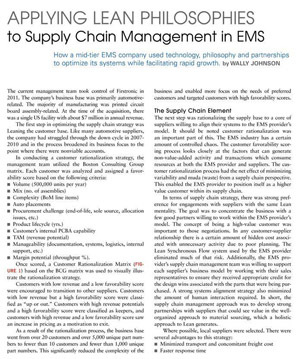 VP, Finance, Supply & IT Wally Johnson discusses Firstronic’s Lean Approach to Supply Chain Management in this Circuits Assembly article. 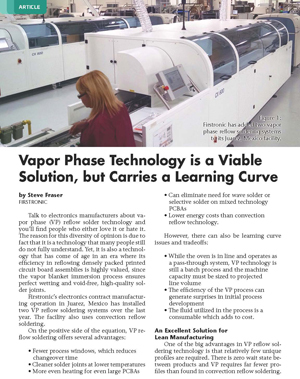 Vice President Operations Steve Fraser discusses best practices in tapping the benefits of vapor phase reflow soldering technology in this SMT Magazine article.